Asian countries attract a lot of tourists by its hospitality and unique culture. At the same time, Asia is not only a popular travel destination but also a business destination. All travelers, irrespective of whether they fly on business or go on a vacation, want to make their trips as comfortable as possible, that’s why most of them choose to fly business class. However, many people think they can’t afford business class cabins and decide to fly economy at the expense of their own comfort. 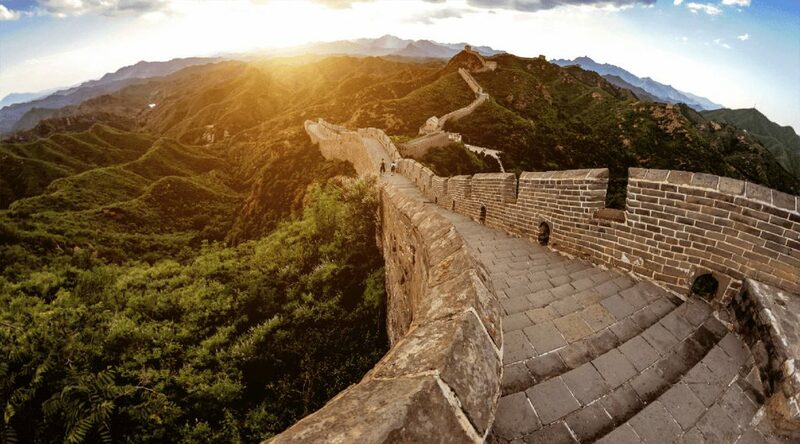 Frequent fliers know where they can get cheap business class tickets to Asia and as a result, enjoy the benefits of business class at the price that often slightly differs from the economy class cabins. If there is a possibility to fly with comfort on a budget, why don’t you take full use of it? Depending on your departure city, a flight to one of the Asian countries may take up to 14 hours. 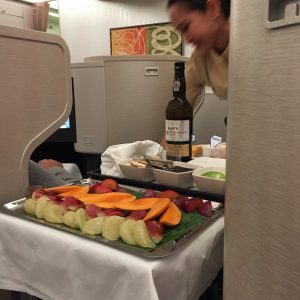 That’s why flying business class to Asia will be the best option. Keep on reading to get to know the advantages of business class over economy class cabins. First of all, you need to know that all cabins vary from airline to airline. But the major differences lie in the quality of seats, legroom, and onboard services. And the price, of course. Although many carriers are constantly improving their economy class cabins, still they’re inferior to business class sections. Space is a major criterion for those travelers who decide in favor of business class. The minimum seat pitch (legroom as it’s commonly known) in economy is 29 inches and the largest legroom for economy long-haul flights is 37 inches. The seat width varies from 17 to 18 inches. It’s such a pleasure to stretch your legs after hours of sitting and in business class cabins where the seat pitch can reach 87 inches and the minimal width is 21 inches. What brings even greater relief is the possibility to recline the seat and relax your back. While economy class can be only reclined, the seats in business class cabins can be transformed into fully flat beds. This feature allows passengers to sleep and have a rest just like at home. 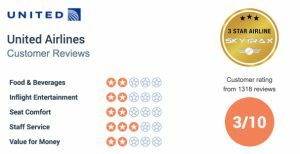 In terms of additional services and entertainment, there is a noticeable difference between these two classes. Business class travelers can enjoy the perks already in the airport where they have free access to the airline’s lounge. Also, they can be allowed to board first or go through the check-in procedure faster. Every business class seat is usually equipped with the individual TV or touch screens with rich collections of movies, games, and music, and in-seat power to charge the laptops and other devices. There is a wide choice of onboard meals and some aircraft even have an onboard bar (a separate section of plane). A pleasant bonus for all business and first class passengers is an amenity kit given at the beginning of a luxury flight to Asia. 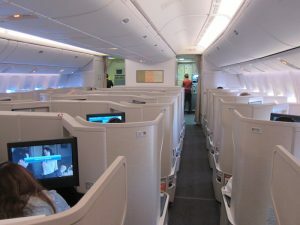 Economy class cabins may also offer power outlets, amenity kits, and the Internet connection but it depends on a particular aircraft of a particular airline. 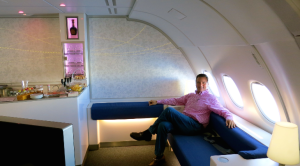 So, you see that flying business class you’ll get a more comfortable travel experience and minimize jet lag. Although for most passengers the price is a decisive factor, treat yourself to a business class cabin because it’s more than possible to find the most advantageous business class deals to Asia with cheapfirstclass.com. While looking for discounted business seats to Asia you should keep in mind that a business class cabin of a particular airline and the services provided by it may differ greatly from another carrier. The fares can be strikingly different. That’s why your task should be to search and compare. 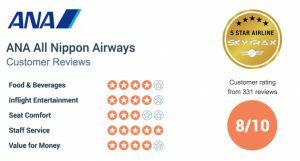 In order to facilitate your searches, we offer you the review of six popular airlines flying to Asia. 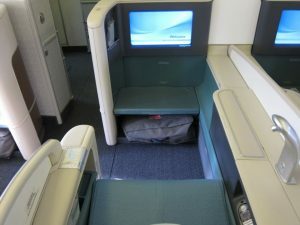 Cathay Pacific business class is among the best business class cabins in the world. It features curved herringbone seats arranged according to a 1-2-1 pattern with two seats in the center and one each by the windows. If you have your seat in a central row and you want to chat with your travel companion, just open your cupboard door and have a face to face conversation. If you value privacy while traveling, keep that door closed – it will serve as a screen and provide more privacy to you. 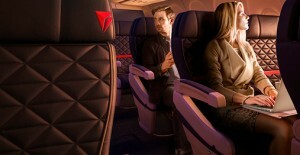 In the new seat layout, available on some of their planes, your head (the back of your head) point toward the aisle. The seats are transformed into 82-inch long flat beds and you can increase their width by lowering the armrest (which you can also leave untouched for more privacy). Many passengers would like to have much space for storing their stuff and Cathay Pacific can satisfy their needs. Apart from the overhead lockers there are a side cupboard, a foot locker, a water bottle pocket, and a side storage compartment. Each seat is equipped with power supply with an international adaptor and a mirror. In-flight entertainment features individual TV screens and noise-cancelling headphones. An amenity bag contains socks, ear plugs, tissue, skin care products, dental kit, and eye mask. Cathay’s lounges are pretty restrained and they are designed mainly for business needs: workstations, TVs, Wi-Fi, and fresh food. 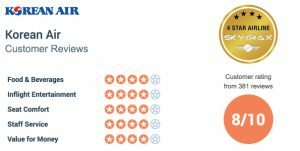 If you come across a cheap business class to Asia offered by ANA – Japan-based airline, a member of Star Alliance, and one of the best airlines in the world – you should definitely pay your attention to its business class cabins. A staggered layout of seats is perfect for those who travel alone or with a companion. If you fly solo, a throne-like seat in the middle section will be right for you. The seat configuration provides much legroom although it seems tiny at first sight – a great deal of space is just hidden beneath the monitor so all you need to do is to stretch your legs forward. Naturally, the seats can be reclined so that they become flat beds. Using the seat control you can change the position of your seat in the following four ways: tracking, recline, lumbar support and upright/bed. Push the ‘do not disturb’ button when you need some privacy or want to sleep. Switch on side table light if you want to work. You can accommodate your stuff in the spacious overhead lockers as well as under the footrest. The in-flight entertainment has a 17-inch touch screen with a variety of movies and other forms of entertainment. Onboard Wi-Fi is available and you choose the plan that will fit your Internet needs. The power source with different plugs can be found under the screen. Each seat is provided with a pair of slippers, headphones, and amenity bag. The latter consists of L’Occitane lip balm and skin moisturizers, an eye mask, tissues, cotton set, earplugs, and dental care products. 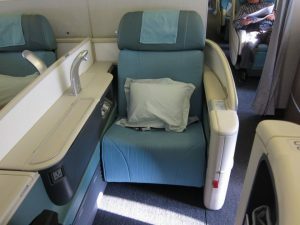 Korean Air’s brand name for business class is Prestige Class. Its A380 has 407 seats and since the same aircraft operated by other carriers usually hold more seats, it can be assumed that it’s more spacious. And it really is. Business class suites feature the staggered seat configuration and privacy panels. 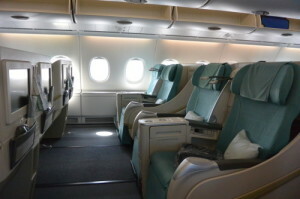 The seats in the standard business class cabins are arranged according to a 2-2-2 pattern. The width of new seats is 22 inches but it can be increased by pushing down the armrest. The seats recline to transform into a 74-inch-long flat bed. There is an ottoman with a storage space for personal items underneath it. The cabin walls have the in-built personal cupboards. The airline promised to install new business class suites on its A330-300s flying to Guangzhou, Singapore, Hanoi, as wells as its new B77-300ERs, B747-8is, and B787-9s. 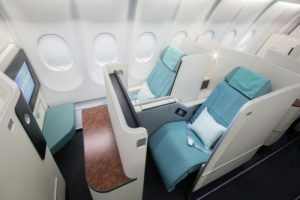 So, choosing the cheapest business class flights to Asia offered by Korean Air, check out whether your destination is served by the aircraft with new layout. In terms of in-flight entertainment, new seats are equipped with 23-inch touch screens with rich content and current flight information. Amenity kit contains DAVI face cream, hand cream, aftershave lotion, eye gel, and lip balm along with eye mask, toothbrush, and toothpaste. You’re also provided by slippers or socks. EVA Air, a Taiwanese airline, is a Star Alliance member and the second largest airline in Taiwan. Its upgraded business class is called Royal Laurel class. 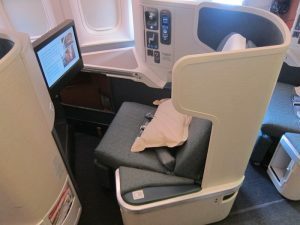 Since there are still some Boeing 777s featuring the older version of business class seats (Premium Laurel) check which configuration your plane has while hunting for business class tickets to Asia. New business class cabins have a 1-2-1 reverse herringbone layout. The seats are real lie-flats. With 71 inches of legroom, 26 inches of width, and 72 inches of bed length they can be safely called spacious. Being arranged in a herringbone style, the seats are great for those who travel alone since this configuration ensures more privacy. If you travel with a partner, choose the two middle seats in order sit facing each other. Each seat is equipped with the on-demand in-flight entertainment system (a 15.4-inch screen with a usual set of movies, TV, music, map, etc), power outlet, USB port, and two reading lamps. You can keep your stuff in the overhead lockers as well as in the pockets at the seat. Initially, there are blankets, two pillows, noise-cancelling headphones, and slippers waiting for passengers on each seat. The amenity kit is provided by flight attendants at the beginning of the flight. Also, EVA Air offers their business class passengers the perk that only first class could previously enjoy – a set of pajamas. Unlike other airlines like ANA, EVA Air doesn’t ask the passengers to give their pajamas back – they can keep the brand sleepwear for good. Rimowa branded kits, usually provided as first class amenity, are another perk of EVA’s business class. The kits contain Harnn face and body products, socks, eye mask, earplugs, comb, and a dental kit. United Airlines hasn’t upgraded its business class for about a decade. But after conducting market research they realized they need to configure new cabins in order to satisfy customers’ needs and compete with other companies. Since most business travelers want to relax and sleep during long-haul flights, United decided to improve their business class seats and introduce sleeping pods containing beds that lie flat complete with duvets and pillows. The United Polaris concept will be implemented in its Boeing 777-300ER aircraft. In 2017 the company will open its lounges in Hong Kong and Tokyo. Thanks to the ergonomic seat layout, each passenger will have access to the aisle. The seats recline to 180 degrees to turn into lie-flat beds with 72 inches of bed space. Each suite has multiple storage areas where you can accommodate your stuff, surfaces for working and dining, lumbar support activated with one touch, mood lighting, and the “do not disturb” sign. All business class passengers are provided with slippers and those on long-haul flights can request pajamas and a gel-cooled pillow. 16-inch HD screen and headphones serve for audio-visual entertainment. New amenity kits consist of eye shades, calming lavender pillow mist, and additional products from Soho House & Co’s Cowshed Spa. 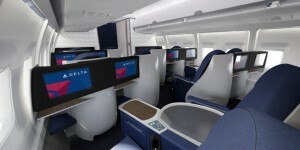 Delta AirLines’ business class is actually a hybrid of first and business classes called Delta One. It was previously known as Delta Business Elite. Since the upgrade took place recently, not all the aircraft can boast new Delta One design. The herringbone layout of the seats makes each seat feel more private and ensures direct access to the aisle which means you don’t have to disturb your sleeping neighbor. The seats are equipped with a charging station for your devices and a control panel with seven pre-set positions to adjust your seat. The seats convert into 72-inch-long lie-flat beds. Enjoy premium entertainment from Delta Studio on your in-seat touch screen monitor. Although it’s not very big, the content is pretty rich. Hundreds of movies, TV shows, games, and songs can be accessed on your personal device via in-flight streaming. TUMI amenity kits include toothpaste and toothbrush, a pen and earplugs, eye shades, lip moisturizer, body lotion and mouthwash from Malin+Goetz. Passengers are also provided with a pair of socks and slippers to walk around the cabin. Pajamas sets are given to the passengers traveling to China. Searching for cheap business class tickets to Asia study the services a particular airline can offer. 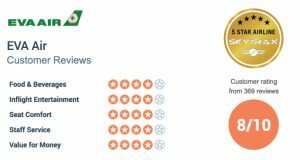 Also, read the airline reviews left by customers in order to choose the best business class cabin.